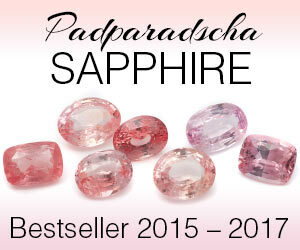 Sapphires get their name from the Sanskrit word Sapheiros, which means precious stone. These richly colored gems were thought to attract blessings from the heavens as they represented the skies and were worn by clergymen. 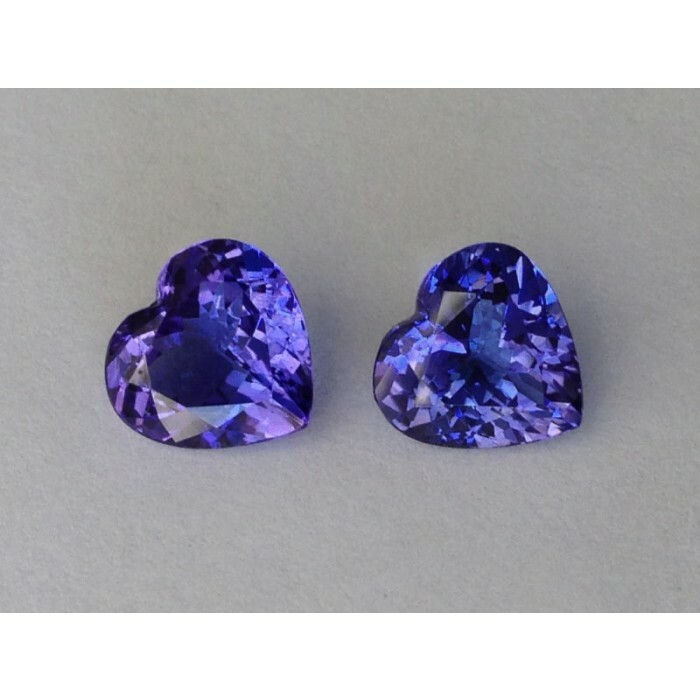 Sapphires have the same chemical combination as Rubies and other colored Sapphires, but when used alone, the name “Sapphire” refers to the blue variety. Today the stone is still considered to be a powerful stone under vedic astrology and is said to guide the planet Saturn. Birthstone for the month of September, Sapphires have a beautiful relaxing blue color that cannot be matched by any other gem. 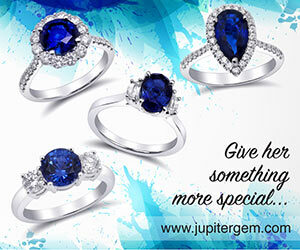 The Blue Sapphire gemstones is one of the most coveted and famous in the world. 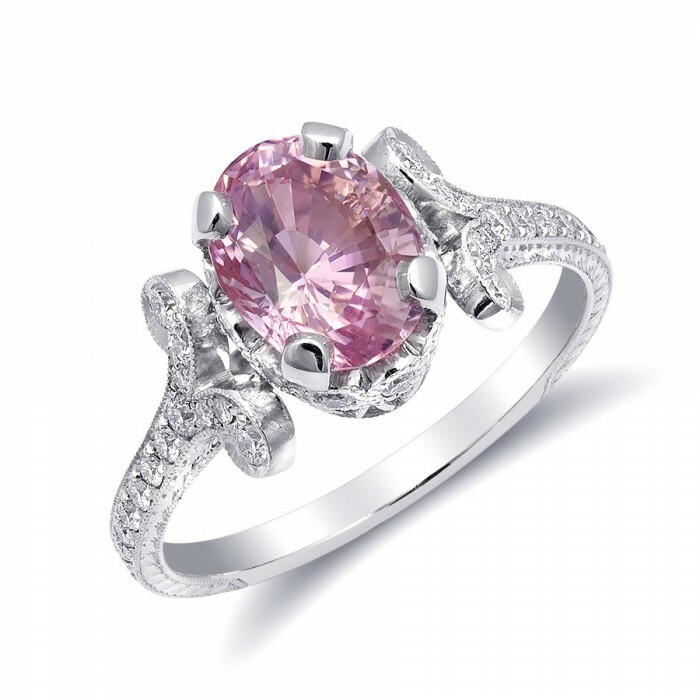 The eyes of the world have recently been focused onto this velvety and violet precious stone, with Kate Middleton’s stunning ring bringing an insurgence in its popularity into recent news and media. Despite this recent trend, this stone has been desired throughout history and has been used in iconic jewelry for royalty and religion. 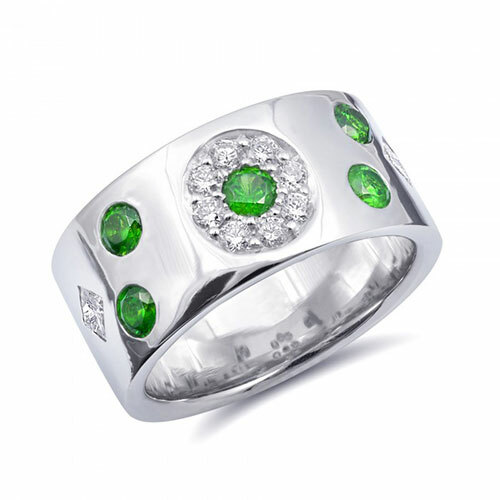 It is said to aid spiritual enlightenment and the wearer of this historically sought-after gemstone is said to enjoy the qualities of prosperity, longevity, fortune, fame and happiness. The Blue Sapphire is also renowned for protecting the wearer from obstacles that may lay within their path. A stone of prophecy, wisdom and loyalty, the Blue Sapphire has been used throughout history. 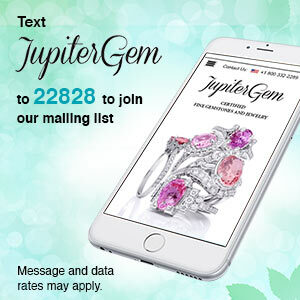 The true draw, however, is the gemstone’s brilliant and vivid blue tones that are unlike anything else nature offers.